Tickets for the Swedish and Latvian rounds of the 2018 FIA World Rallycross Championship are now on sale. 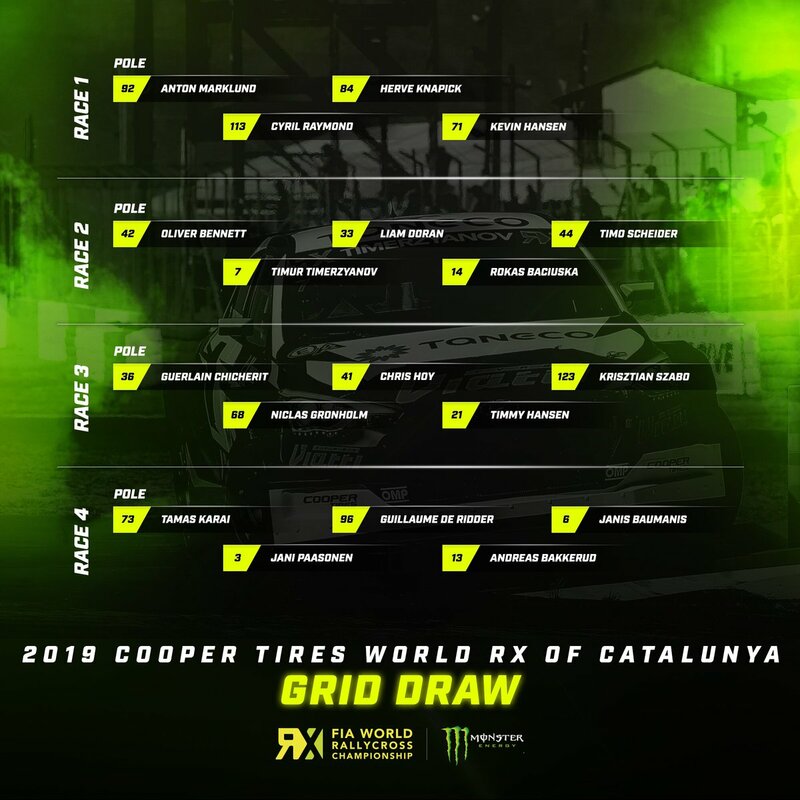 Host of what fans often refer to as ‘The Magic Weekend’, Holjes in Sweden has today released tickets for the sixth round of World RX, held on the event’s traditional first weekend of July slot (30 June – 1 July). Over 40,000 spectators flock to the Holjes forests each year to watch some of the world’s best drivers battle it out on the legendary circuit, where in the last four years Sweden’s Mattias Ekstrom has twice claimed victory, his new EKS team mate Andreas Bakkerud won in 2016 and last year 2017 World RX Drivers’ Champion Johan Kristoffersson won his home event. Joining World RX at Holjes will be the FIA European Rallycross Championship for Supercar and TouringCar, and the RX2 International Series, while this weekend Holjes hosts the second round of the RallyX on Ice series. Buy tickets for Holjes RX here. Tickets for round nine of World RX at the historic Bikernieki National Sports Base circuit on the outskirts of Latvia’s capital city, Riga, are also on sale (September 14 – 16). One of the newest editions to the World RX calendar, the Latvian round raised the bar for new venues on the schedule in 2016 at an event where nine-time World Rally Champion Sebastien Loeb scored his first rallycross victory. Last season, Kristoffersson secured his first World RX title in front of the Latvian crowd, while the PSRX Volkswagen Sweden team won the Teams’ Championship for the first time. At the recent FIA Off Road Commission Prize Giving, the Latvian event was awarded the prestigious FIA ORC Rallycross Event of the Year award. Alongside World RX, Euro RX Supercar and Super1600 competitors will be in action at the 2018 event. Buy tickets for Latvia RX here.